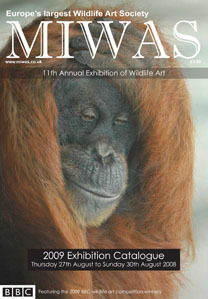 Marwell International Wildlife Art Society (MIWAS). Art and conservation. 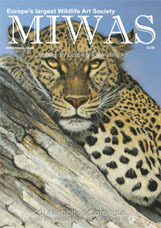 Welcome to the official website of the Marwell International Wildlife Art Society. 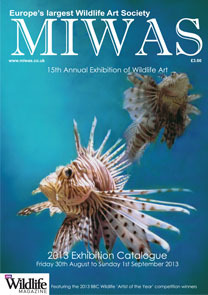 *We are working hard to finalise this year's MIWAS events calendar. Please be patient, details will be sent out as soon as they are ready. 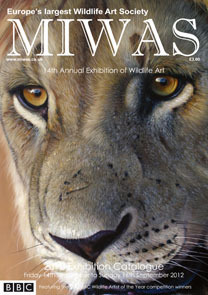 The 16th annual MIWAS wildlife art exhibition at Rookesbury Manor in Wickham was once again a roaring success, with record sales, record visitor numbers and an exhibition that arguably looked the best to date. On the opening Special Guest evening, celebrity fine art auctioneer John ‘The Hammer’ Cameron officially opened the exhibition and awarded prizes to the winning MIWAS artists. 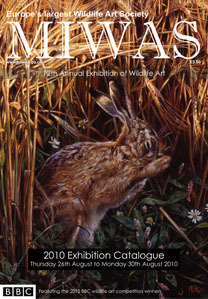 MIWAS ‘Wildlife Artist of the Year’ was won by Claudia Hahn with her 2d entry ‘Like Father Like Son’, an exceptional painting that was a deserved winner. 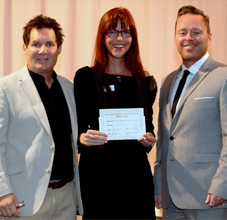 Sue Clare, announced the launch of the new MIWAS charity ‘MIWAS WildSave’ in her capacity as Chairman, explaining that the charity would be aiming to support ‘Animals Asia’ with their first donation. A table was set up during the exhibition and by the end of the exhibition, nearly 60 members and over £600 had been raised. After an exciting and packed opening night, the venue opened to the public on the following day and as expected the crowds rolled into the main exhibition,fillingthe venuenearly to capacity, with a visibly buzzing art market adding to the hype. The stewards and stewardesses manned the exhibition and Art Market expertly, all armed with MIWAS exhibition catalogues for sale, resplendent in their yellow MIWAS sashes! The three days of the exhibition were exciting and action packed with the daily drama of exciting sales, one wonderful visitor buying SEVEN paintings on the final afternoon and another equally wonderful guest buying another five paintings! The exhibition catalogue was once again something that was hugely admired and over 600 copies were sold during the exhibition. The Art Market was busy throughout the event and many artists recorded good sales and indicated their wish to return the following year. The exhibition once again showed the amazing generosity of MIWAS artists, many of whom came in day after day to help put the exhibition together. 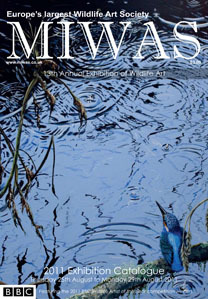 Overall, a magnificent exhibition of paintings and sculptures, organized and put together by the amazing MIWAS artists. Great Art Supplies, Winsor and Newton, Rosemary’s Brushes, and Derwent. 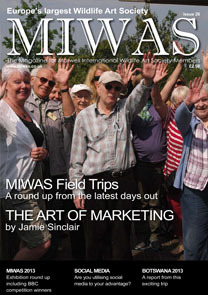 Join MIWAS today and receive our newsletter twice a year! Only a few 2007 and 2008 Summer Exhibition Catalogues still vailable. If you would like to purchase a summer exhibition catalogue for 2007/2008 there are still some available. Prices are £3 each plus £1 postage and packaging. Also available are 2006 and 2004 exhibition catalogues. These are £2.50 each plus £1 postage and packaging, only available while stock lasts. 2005 catalogues sold out.